For over a decade it has been an honour to work with senior and emerging leaders who are consciously making a difference by discovering and learning to play to their strengths. These leaders are now making greater contributions to the success of their organizations than they were before. the mindset that leads to results. They know that transformation is continuous – for their organizations, their teams, themselves. 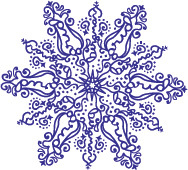 This dynamic process of transformation is gracefully symbolized by the snowflake. Ingrid provides a safe environment where I can, in essence, have a strategic conversation with myself. She has worked in senior roles and understands that workplace challenges don’t always get resolved in a linear fashion. She is extremely astute and diplomatic.